Hi, I am a research fellow at the Alan Turing Institute. I am also affiliated with Edinburgh University. I was a PhD student at the University of Twente and I was also affiliated with the Meertens Institute. I received a master's degree from the Language Technologies Institute at Carnegie Mellon University and a bachelor's degree in Computer Science from the University of Twente. I have interned at Facebook (fall 2011), Microsoft Research (fall 2013), and Google (summer 2014). In fall 2015 I visited Georgia Tech. I'm joining the University of Utrecht in May 2019. I have worked on various topics in Natural Language Processing and Information Retrieval. I'm especially interested in computational text analysis for research questions from the social sciences and humanities. I often study social media data. I'm interested in computational sociolinguistics (Computational Linguistics, 2016). I've worked on geographical language variation (Computational Linguistics, 2017), gender and age (LATECH 2011, ICWSM 2013, COLING 2014), language change in online communities (LSM 2011), and more. 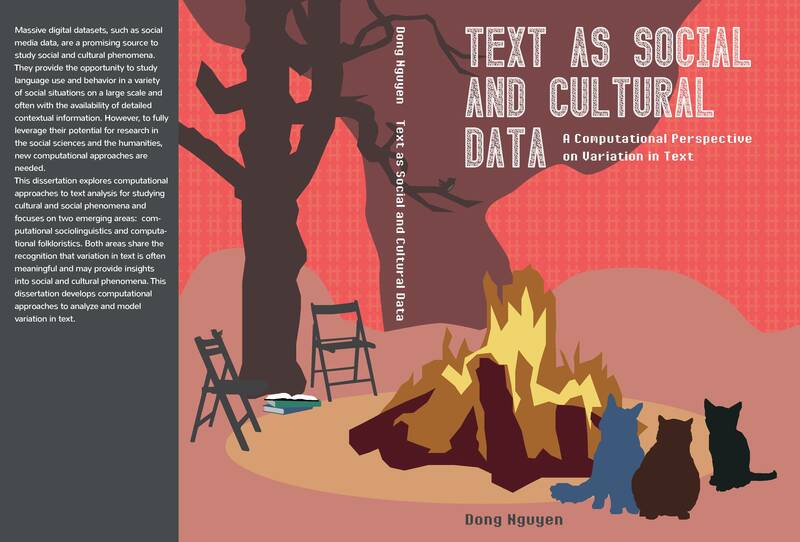 I defended my PhD thesis Text as social and cultural data: A computational perspective on variation in text at the University of Twente in 2017. I explored computational approaches to text analysis for studying cultural and social phenomena, focusing on textual variation in social media and folk narratives. Winner of the Overijssel PhD-Award (2017) and the Gerrit van Dijk Prize for the best thesis in Data Science (Dutch Data Science Awards 2018). Together with Vincent Traag I organized a 4TU seminar on Computational Social Science, 7 April, 2017. I gave a tutorial on Computational Sociolinguistics at the 3rd International Conference on Computational Social Science (2017). Digital diasporas: Interdisciplinary perspectives conference in London, 2019. Workshop on "Bridging disciplines in analysing text as social and cultural data", 21-22 September 2017 at the Turing Institute in London. Co-organizer Federated Web Search track at TREC (2013-2014). Program Committee (conferences): EMNLP (2013, 2017-2018, area chair 2019), ACL (2014-2018, area chair 2019), EACL 2017, ECIR (2015-2019), NAACL (2016, 2018-2019), SIGIR short + full (2015-2016), CIKM (2015-2016), FAT* 2019, ICWSM 2019, etc. Journal reviewer: TACL (2014-2018), PLOS ONE (2015), ACM TIST (2015), IEEE Transactions on Big Data (2015), Transactions on Information Systems (2016), Artificial Intelligence Review (2016), etc. Media coverage: New York Times, Time Magazine, New Scientist, Radio 538, Volkskrant, etc. 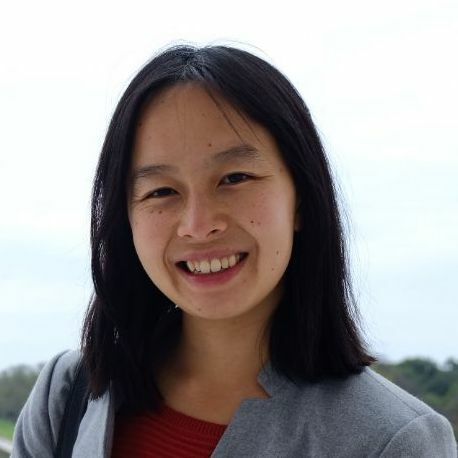 Invited talks: Saarland University (2019), The Future of AI: Language, Technology and gender workshop at the University of Cambridge (2019), University of Cambridge (2019), SAGE Ocean Speaker Series (2018), Bell Labs Cambridge (2018), University of Amsterdam (2018), Data Science Festival meetup (2018), Understanding Euroscepticism Through the Lens of Big-Data workshop (2017), Women in Machine Intelligence Dinner (2017), etc. A video on Youtube of a talk I gave in Feb 2017 summarizing some of my work. Featured in Women in NLP spotlights. Special issue on computational sociolinguistics. The NLP Interest Group at the Turing Institute.